four chords shown. The first and fourth chords are the same. 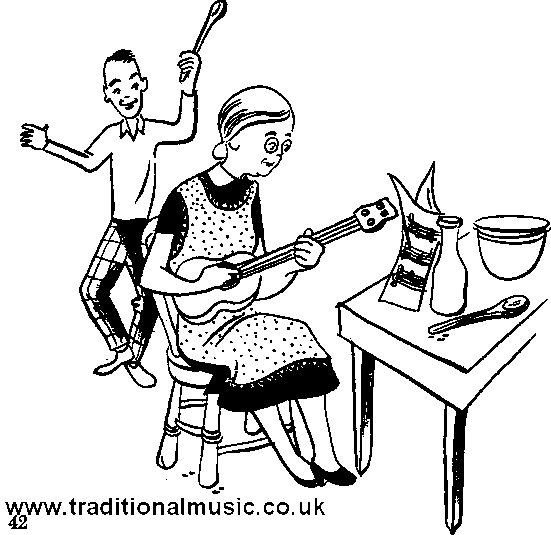 Then practice the opening measures of "Old Folks at Home"
shown for that key in the diagram in Fig. 20.